Home / Pregnancy Why is the blood clotting rate of pregnancy important? Why is it so important indicator of the norms of blood clotting during pregnancy? As you know, all women in the period of gestationHand over several analyzes. One such is a coagulogram - an analysis of blood coagulability. Normal indicators are systems necessary for the successful course of pregnancy and childbirth. What is the blood clotting system and why is its normal performance so important? This system of the body in medicine is called hemostasis. Coagulogram allows you to determine the state of this system. 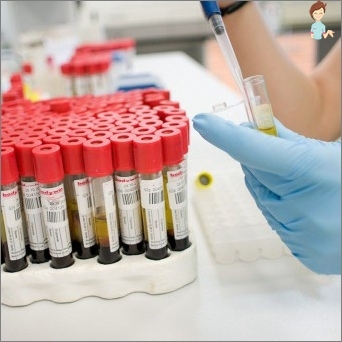 This analysis is necessary to regularly take the futureMother to monitor the state of pregnancy: it allows you to determine the status of hemostasis and identify possible violations - an increase or decrease in blood coagulability. With normal hemostasis and lack of otherPathologies pregnancy proceeds safely. During this period, the volume of circulating blood increases, accordingly, the level of coagulability increases. This is a completely natural process. Violations of hemostasis can lead to poor consequences - miscarriage or hypoxia of the fetus. The activity of factors 8 and 9 is 50-200%. Why is clotting important during pregnancy? Changes in hemostasis increase the risk of negativeConsequences. For example, the possibility of blood clots increases, which can lead to heart attack, stroke, thrombosis, miscarriage or premature delivery. Increased coagulation can cause brain development disorders in the baby. Planned studies can identifyViolations, determine how dangerous the detected pathology, to trace the normal course of gestation. A woman undergoes physiological changes in this system during the period of gestation, which are quite natural. At this time the organism is reconstructed into anotherMode of operation to provide additional circulation of blood in the utero-placental blood flow. Similar metamorphosis is also necessary for the forthcoming delivery, in which bleeding may occur. Coagulogram for the entire gestation period shouldBe held three times - once in a trimester. In some cases, the analysis is prescribed more often, for example, in vascular, autoimmune, hepatic pathologies, varicose veins, before and after surgery. 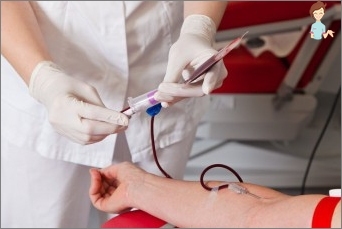 The need for more frequent studies arises with hereditary predisposition and in the case when the first analysis showed that poor coagulation was detected. 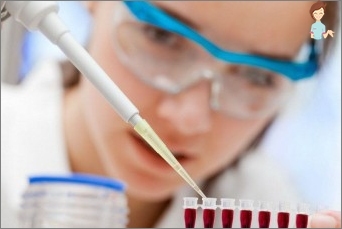 How is coagulation carried out? Blood is drawn from the vein. The procedure is performed on an empty stomach. The last meal is allowed 8 hours before the time of delivery. 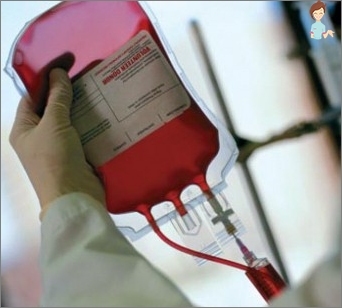 Platelets are blood cells produced by the bone marrow. The minimum norm is 131, the maximum is -402 thousand / μL. Deciphering the results of the study shouldOnly the doctor is engaged, since the indicators can vary throughout the gestation period, and in some cases deviations may be a variant of the norm. What is dangerous is the increased coagulation of the blood for the fetus and the woman during pregnancy? Practically in all cases of growth of certainThe risks for the woman and the fetus are significantly increased. This is because the placenta, through which a child in the womb increases the necessary nutrients, contains many small blood vessels. If there is increased coagulability, blood clots can be formed in its vessels - thrombi. As a result, the supply of nutrients to the baby will decrease or cease. TThis pathological process can affect its development - the risk of congenital pathologies is increased. In addition, spontaneous abortion, late toxicosis in severe form or placental insufficiency may occur. As for the future mother, such changes in hemostasis are fraught with thrombosis during gestation in the postpartum period. Increased blood clotting in mild formAt pregnancy it is corrected simply enough: by means of a special delivery and a drinking mode. In the absence of contraindications, it is recommended to drink a lot of liquid a day - up to 2 liters. It can be fresh fruit / vegetable juices, green tea, herbal tea, still mineral water. The diet primarily provides the rightBalance of fats, proteins, carbohydrates, as well as vitamins and minerals. It is recommended to saturate the menu with sea kale, nuts, unrefined linen and olive oil. It is necessary to reduce meat consumption, but to enrich the diet with marine fish. Benefit will bring onions, garlic, sweet peppers and wheat sprouts. If the changes are more severe, the doctor selects anticoagulants - medications that dilute blood. The cause of such pathological changes in the firstThe queue is a problem with the body's immune system, or rather - with its poor performance. This can happen at the initial gestation: at this time, the body deliberately reduces the functions of the immune system so that it does not perceive the fetus as a foreign agent. In a situation where poor blood coagulabilityIs observed during pregnancy for a long period, the risk of a number of pathological conditions increases, for example, spontaneous miscarriage, premature birth, placental abruption in the last trimester, bleeding during labor. The baby can develop pathologies related to hemostasis. Reduced coagulability, as well as increased,Requires mandatory correction. Choose a course of treatment should only a specialist. As a rule, that normalization of hemostasis resort to special medication. It is also necessary to revise the diet and drinkingMode: to limit the use of various drinks, to exclude spicy and sharp foods and meals with such. You must definitely stop smoking and drinking alcohol.